How Long Have You Been a Beekeeper? Last month I started a new series consisting of a monthly survey to help us learn more about each other. Typically the survey will run for about a few weeks to a month and then I’ll report the results to everyone. The first survey was about when we see the first swarm in each county. Since swarm season is still going, I’m going to let that one continue to run for a while longer. You can view the results in real time by following this link and next month I’ll probably summarize the results for everyone. 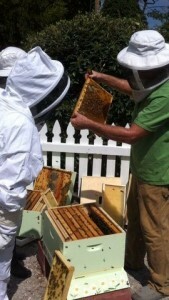 Now it’s time for our April survey and this is the month that many new beekeepers get started. With that in mind, I thought it would be interesting to see how long people have been keeping bees. Please take the survey below to let us know how long you have been a beekeeper. If you can’t see the survey, then you can follow this link to take the survey online. All answers are completely anonymous. I’ll report on the results in early- or mid-May.